As Preppers, you face a conundrum. 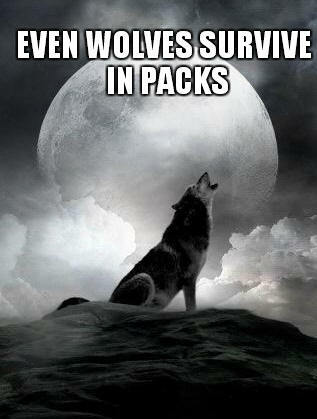 Should you be part of a Prepper Group or should you be a Lone Wolf Prepper? There are benefits and detriments to both options. 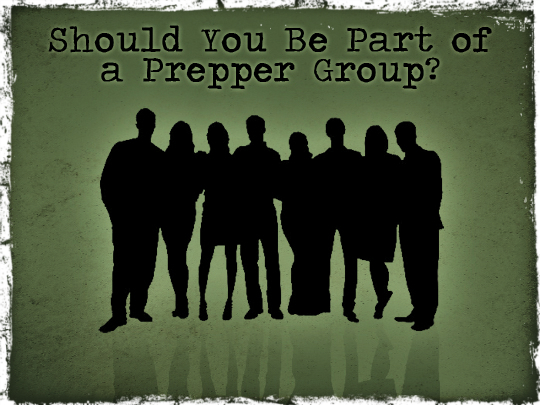 Here are some considerations in forming a Prepper Group. One of the first things a new prepper typically wants to do is reach out to other like-minded people in their area about prepping and trying to form a prepper group. Unless there is an established and open group in the area, it’s often very difficult to form one of these groups. Not only are preppers by their very nature (and for good reason) cautious about discussing prepping with people they don’t already know, but unless the group is advertising and is looking to get new members, you might not even know about a group that could already be in your area. If you are serious about preparing then you have probably come to the realization that you will not be able to do everything yourself when SHTF. Just the day-to-day chores of collecting firewood, sanitation issues, cooking, food procurement, and cleaning without modern technology, will be overwhelming for a family but when you have the added issue of providing your own security you quickly realize you will need a group of people, or a prepper group. A prepper group is a group of people that have agreed to help each other out during difficult times. The level of help depends on the scenario, the people involved, and the community. Some prepper groups encompass an entire small town or community, the people intend to stay in their own homes but help provide mutual security and aid, these types of groups are rare. The most common type of group I have found is a loosely organized group of people that may or may not live close to each other but have general plans to provide mutual aid. They might meet together on a regular basis to discuss different scenarios, take classes together, and combine orders for bulk purchasing. I have meet many of these types of groups; some very organized others just going by the seat of their pants. A prepper group like this might be beneficial during the planning stage but in an actual event the distance between them will make mutual aid impossible. The next prepper group is a group of like-minded individuals that have made a plan, practiced their plan, and have a mutually agreed upon location to execute that plan as a group. They live fairly close to each other but instead of trying to stay in their various locations recognize the importance of being together to provide strength in numbers. 2. What are they prepping for? 3. What do they bring to the table? 5. How committed are they? When we look at forming our prepping group we have to consider if the people are like-minded, their skills, commitment, and who they bring with them. We also need to consider how many people we will need to accomplish what needs to be done.